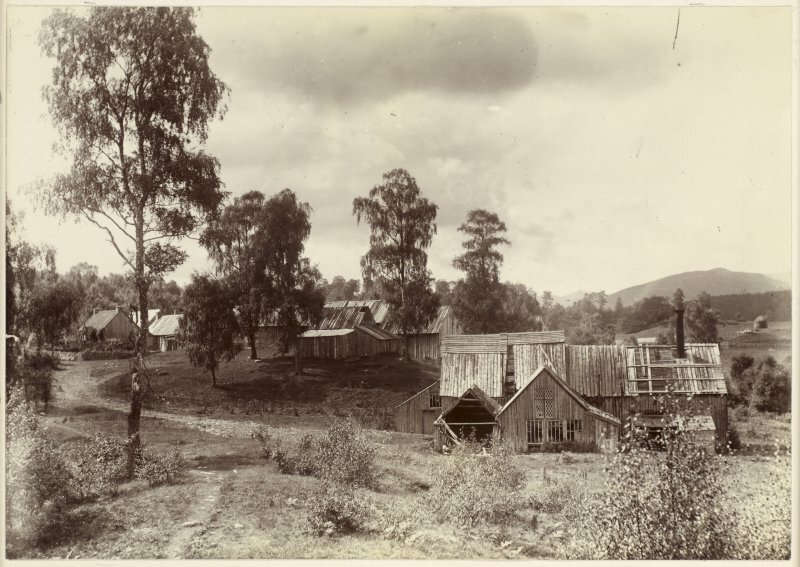 A long time ago Meryl Marshall sent me a picture of some old wooden sheds which might have been workshops, and some houses, situated in scattered birch woodland. The caption had ‘Kinrara Bobbin Mill’, did I know where it was? 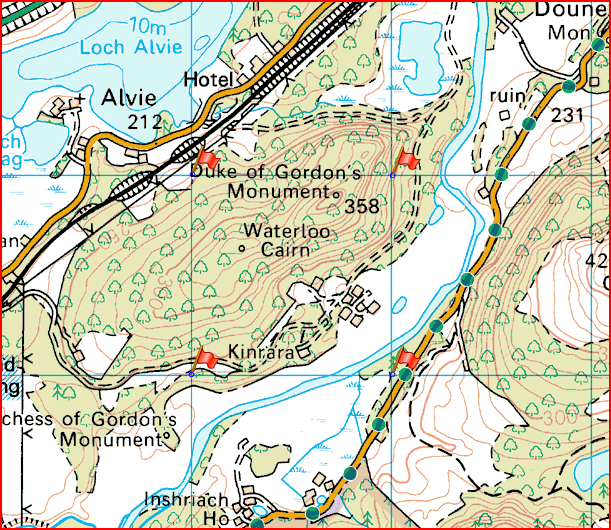 Checking the HER (MHG 23895) produced a Bobbin Mill with a grid ref NH 8700 0800, on Kinrara Estate. 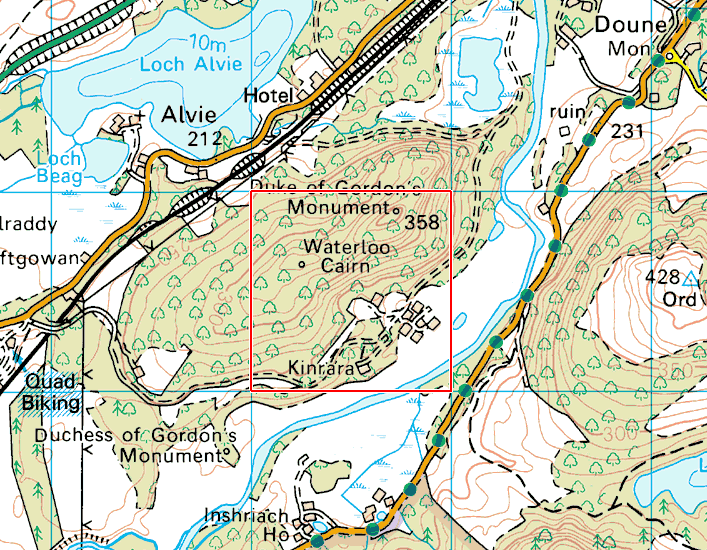 This is the intersection of grid lines meaning the site should be somewhere in that kilometer square. 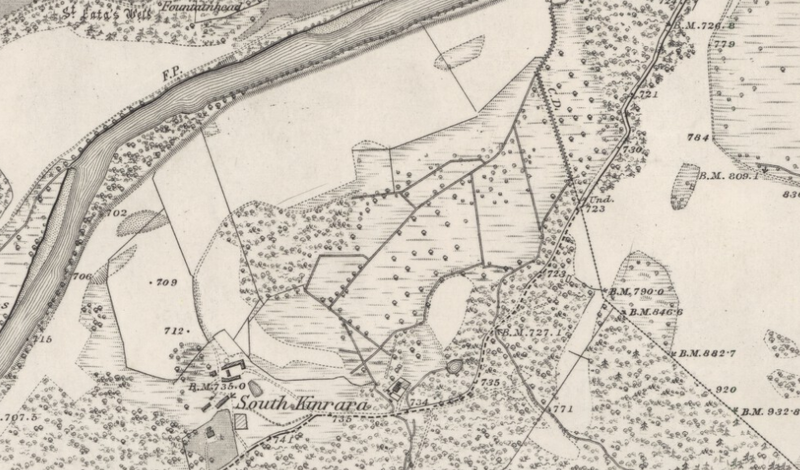 Most of the square is taken up by Tor Alvie, a steep sided hill, not very promising for an industrial site, the low ground is occupied by Kinrara House, which has been there since about 1804, and has well established pine woods. 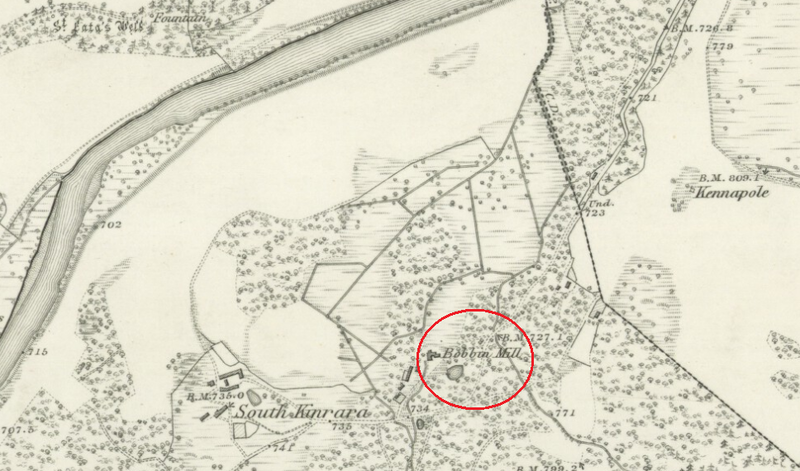 This entry was posted in Badenoch and Strathspey, General Archaeology, Post Medieval and tagged Alex AE Macintosh of Mackintosh, archaeology highlands, bobbin mill, Feshie Bridge, first edition os map, Inshraich Nursery, kinrara, Meryl Marshall, mill kinrara, North of Scotland Archaeological Society, NOSAS, pirns, South Kinrara, Speyside Archaeology, spinning, spinning highlands, Tor Alvie, valuation roll on July 8, 2015 by nosas.